The multi-step filtration and distillation process ensures you receive a pure, clean supplement that gives your body the support it needs to thrive. Your skin, joints, and even muscles and tendons will thank you for the boost! Explore More About Chief Originals OptiMSM Now! 1. Place mint, lime juice and Health Ranger Select maple syrup in glass. 3. Add mineral water and Chief Originals MSM flakes. Stir well. 4. Fill the glass to the top with ice. Garnish and enjoy! 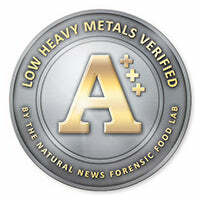 Low Heavy Metals Verified! 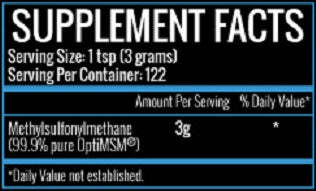 This product is verified A+++ according to the heavy metals standards published at www.LowHeavyMetalsVerified.org This means the product has been tested via ICP-MS and confirmed to meet the limits for an A+++ rating as described at LowHeavyMetalsVerified.org.